We sure do have a lot going on around Manly Hall, and our majors and minors help to make a lot of that possible. It’s been a great fifty years, and here’s to fifty more! Take a look at what we have going on, and we hope to see you around the department for out next event. 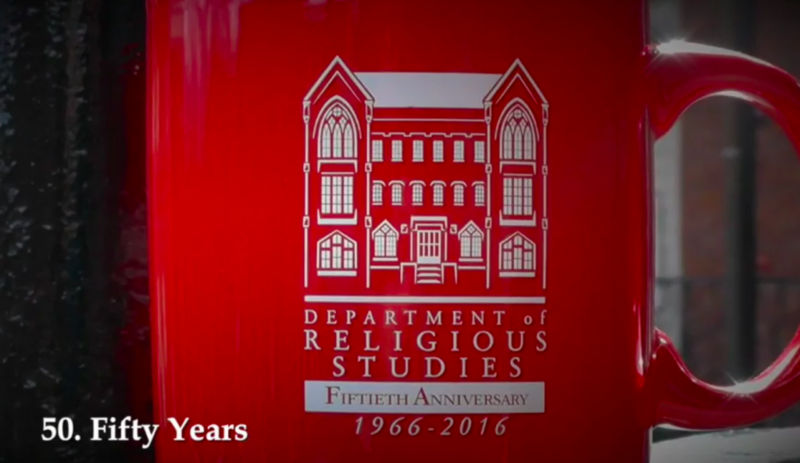 50 Things for 50 Years from UA Religious Studies. This entry was posted in Faculty Blog, Relevance of Humanities, Religion in Culture and tagged 50 Years, 50th, Department of Religious Studies, Fiftieth Anniversary by Andie Alexander. Bookmark the permalink.